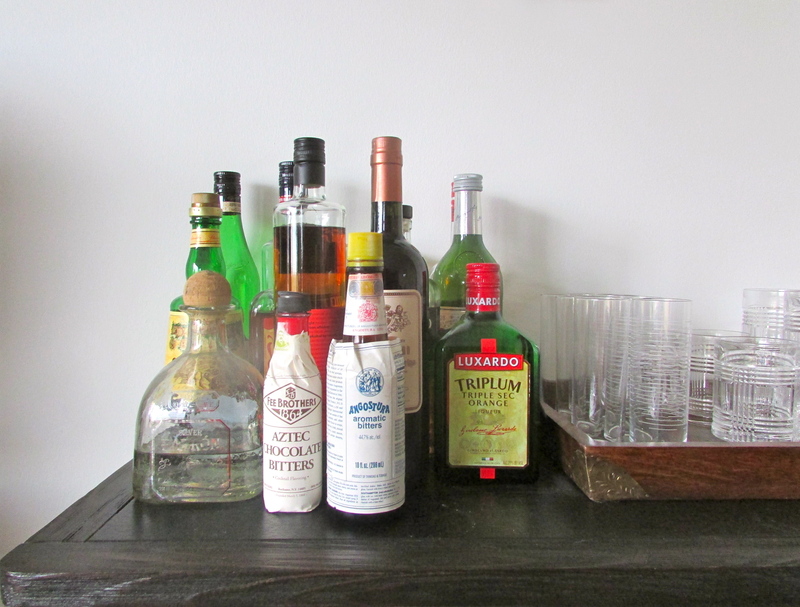 Every home has a bar cart stocked with liquor now, it seems. 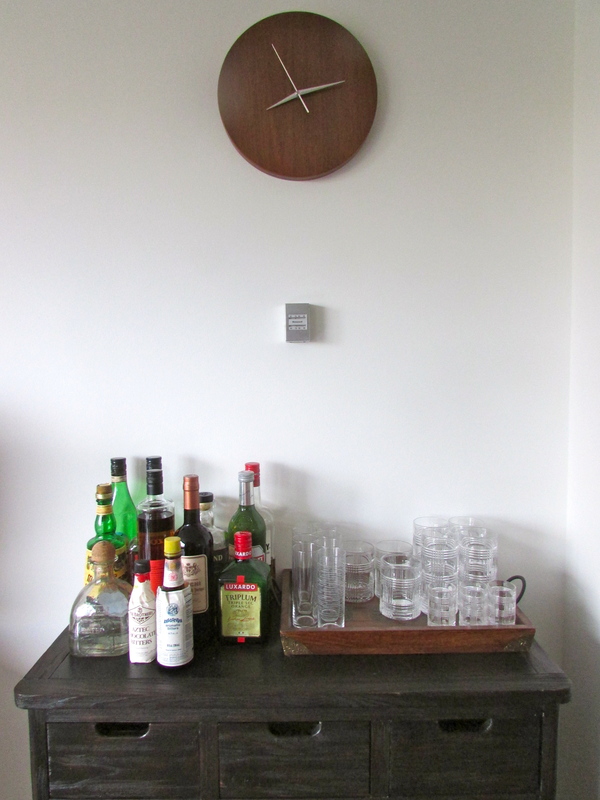 Our home is no exception, except for the bar cart. In an 850 sq. 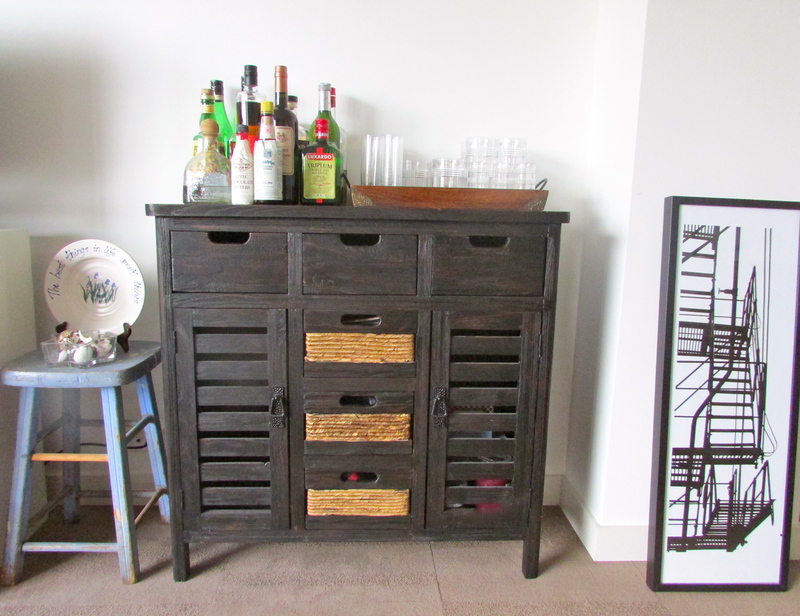 foot apartment, you have to have furniture that’s multi-functional (read: storage), so we opted for this piece from Homegoods instead of a traditional bar cart for now. Jesse and James get the shelf space for their manly liquors and glasses, and I get the ample storage below.